Learn how getting liked and followed will connect you to more business with NAR's e-PRO® Certification. e-PRO® shows you how to use cutting-edge technologies and digital initiatives to connect with today's savvy real estate consumer and build your business. Learn how to manage your online reputation, generate leads, gain referrals, and more. The e-PRO® program is broken into 2 parts. Take Day 1 at this location and Day 2 online (for an additional fee) at your convenience. 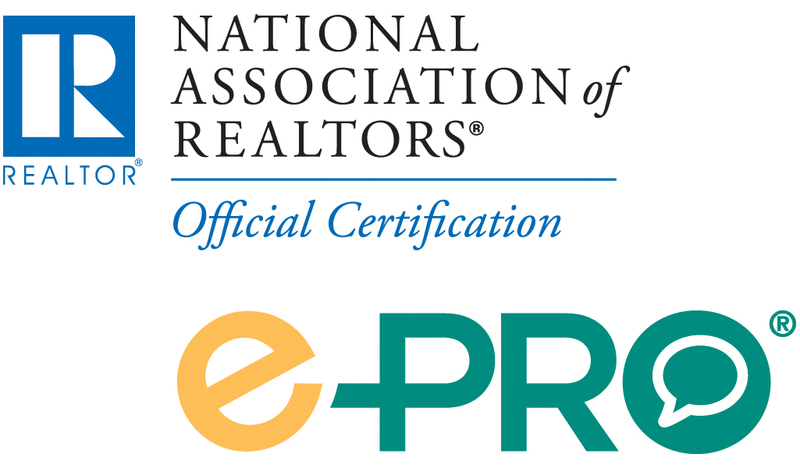 Students that are current members of the National Association of REALTORS® and have completed both days of coursework are then awarded the coveted e-PRO® Certification. SIGN UP FOR DAY 1 TODAY! Bonus! NAR's e-PRO® Certification counts as elective credit for the ABR®, CIPS and CRS designations.